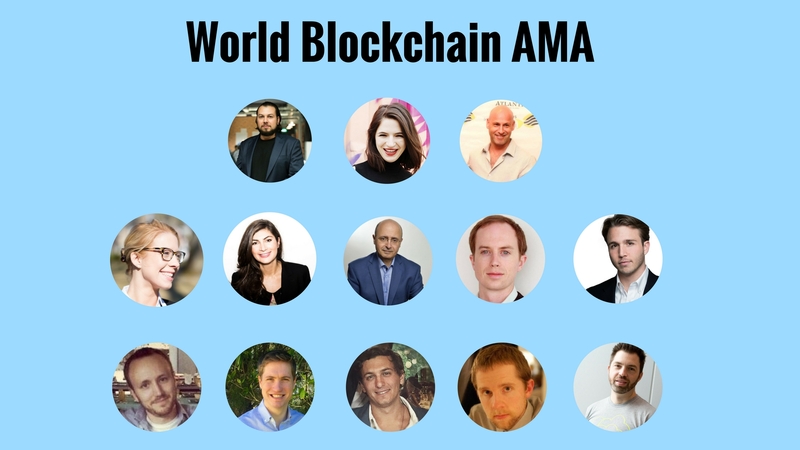 An all-star AMA session on with many top names in the Blockchain industry. Anyone will be able to ask questions directly to the biggest names in Blockchain. An amazing list of participants have already agreed to take part. Stephan is the Founder and COO of http://slock.it, a project at the intersection of the IoT and blockchain. Steemit flips the model of the privately controlled social network on its head by embodying a platform that returns the value of contribution to its users. This is the public’s chance to ask questions directly to their favourite industry leaders, or simply to read the great community questions and answers from the top names in Blockchain. Anyone can register below today and ask their questions. The AMA will start on January 18 @12-pm EST till 4-pm EST. Should we jump at any opportunity to get involved to learn and develop blockchain applications on a daily basis? Blockchain presents great opportunities for decentralization. Filecoin aiming for file storage, Golem aiming for graphics rendering, OpenBazzar aiming for ecommerce. What other interesting projects do you see? What projects would you like to see that doesn’t exist today? @hoffmabc – Brian, from a buyers point of view what is OB offering that Purse cant deliver? Does this organization do trading and, if so, with how much can a newbie start? I guess she means BlockGeeks!?! @hoffmabc Would it make sense to offer localisation service to customers even if they hence could interact sub-plattform. Could make sense on non-digital products and services. @jarredchase – the chef – could offer recipies / buying lists / online courses and at the same time himself as rent-a-chef to his local potential customers. On the one hand this would kinda make his offerings partly online/offline. On the other hand he would provide a full range professional service plattform and a wider ranger of potentials could feel attracted to the offers. Yeah, I’ve thought a bit about this. I have expertise in fermentation and preservation, and the idea for an online larder or pantry combined with some sort of meal service has always enticed me. What is really exciting with the distributed model, though, is there could be a Food Pantry/Soup Kitchen to help those in need or those in food deserts. The food pantry could even utilize excess product from local farms and restaurants. A HUGE problem! It’s in applications like this I feel we will truly start to harness the power of the blockchain. The power of the people. A side question, related : How does the blockchain (maybe as a movement?) intend to stay quiet enough to avoid regulation, but loud enough to gather the right kind of attention? Code is law. I’m interested in learning about the human element of all this. Most of this is so innovative that we don’t know how it will effect itself. Iterative processes aside, who in this field is making strides with understanding or at least hypothesizing how this will work sociologically as it scales from local to global? At ConsenSys we have weekly working groups on Game theory as well as Market Design/CryptoEconomics. Blockchains are hard, there’s no doubt about that. The business models are different, very different than anything that’s ever existed. We need to test a lot of these theories and assumptions so expect the next couple of years to be a lot of testing. Blockchains have actually be at the center of a lot of government discussions because as you mention, the Human Element is definitely something that is crucial to this success. Can some one of you explain more about the “Granular Payments” & “Diversity in Scale of Transactions” made possible by #bitcoin #blockchain? Not for now – we want to be practical and tactical, e.g. building our own platform would slow us down a lot. Saw this article today about the need for blockchain standards. http://startupmanagement.org/2017/01/16/the-blockchain-is-still-waiting-for-its-web-here-is-a-blueprint-for-getting-us-there/ Do panelists agree standards are needed? Where is the greatest need? What work is being done today? @josephlubin What are your biggest goals for 2017 for ConsenSys? What are the top blockchain conferences to consider attending in 2017? DevCon is a fantastic event. It’s definitely more developer and tech-focused. Haven’t announced this publicly yet, but we are planning a more arts and culture-oriented event, bringing together leaders and changemakers from the fields of arts, sustainability, media, governance, to learn about blockchain and apply the philosophy of decentralization to a broader base of people it will positively affect. @amandagutterman pls. keep me updatet – coming from sustainability and green energy side. @hoffmabc what are the emerging trends you are seeing in OpenBazaar usage? What kind of product categories are most popular? Which regions drive the highest usage? That’s generally the list ^. It changes during bubble periods though. In Aug, XMR was by far the biggest volume. At times, ETC has been 2nd place. Also DASH often makes it into the top three, and ZEC has been creeping higher. I’m a chef. What can honest, hard-working people outside of the industry such as myself do to enrich the community and provide value? I would say – learn about bitcoin and start experimenting with using it in daily life, e.g. something like using OpenBazaar. Thank you for your response. Sorry to make it sound like I’m a total noob. Been invested in (and use) Bitcoin for a while now, and actually spend way more time in the Ethereum space. Published my first post on AKASHA today, as a matter of fact. Maybe that answers my own question, ha! I’ll continue to stay engaged and involved. Thank you everyone for your hard work! Cool! You are a very unusual chef! I am obviously biased toward Ethereum and I do think it holds so much promise. Though I’m working on getting those programming fundamentals back on a solid foundation to build upon in the future. Thank you for the link to the guides. These help me condense information and eloquently explain to my wife (and others) just what is so fascinating about all this and why I’m all of a sudden wearing Ethereum t-shirts! Thanks Ameer – somehow missed that section previously! Looks very useful. Which region and which country are the friendliest regulation-wise to blockchain fintech startups? Switzerland, but it varies per canton. People have access to to a much more direct form of democracy in Switzerland, and encountering the Equivalent of the Minister of the Economy for a local jurisdiction isn’t the impossible mission it would be in say, the UK. Add to this the opportunity to create self-regulatory organisations (SROs) within a particular vertical and you have a very nice environment that gives entrepreneurs a voice and the freedom to experiment. Vitalik really likes Singapore for that, that’s why they are moving the center of gravity of the Ethereum foundation there. @nedscott what caused your crypto token to drop so much in value last year? market cap of the token is up 10x from where it began last year. what’s happened in its bubble is a product of speculation – which means I don’t know, unfortunately. I guess banks aside of disruptive FinTechs could start to use blockchain for FOREX trades and non-physical-value transfers – the technology seems to fit perfectly into this area. To use blockchain for hedging purposes cannot work unless there’s a blockchain coin/curreny/money/value that is not prone to fluctuations. We’re already seeing Fortune 500 companies and large financial institutions exploring and/or adopting private, permissioned versions of the Ethereum blockchain. There are signs of the times like JPMorgan publicly open-sourcing its Quorum platform, and Microsoft’s Bletchley platform. With the birth of Enterprise Ethereum in 2017, Ethereum is poised over the next years to become even more the de facto blockchain of choice for large enterprises, which will gradually look toward public and consortium blockchains to leverage the Ethereum mainnet in addition to use cases in private, permissioned contexts. Accenture released a report yesterday I believe on how blockchain could save the financial services industry something like $12 billion per year. With this level of efficiencies to collect, I would expect to see accelerated adoption among financial institutions, and more similar reports touting benefits of blockchain. or they reduced the potential for banks involved to 12 billion savings while my 120 b would referr to not involving banks anymore. so their point of view is customer-centric (their customers) – my view is market-centric (all users). How do you describe Data management in the lens of blockchain? Can that ledger be queried via SQL by the parties? @stephantual What is the status of the Slock.it & RWE Blockcharge electric vehicle charging collaborative project? The text is in German because it addresses the German market. Of course, our plans for the coming year include expanding this to English-speaking countries. @mei what is the first niche market that you guys want to target with MelonPort? There will come a time where asset allocators realise it makes a lot of sense to have some crypto exposure as part of their portfolio. At this point, they will start looking to invest in the next “George Soros” of crypto …. and we believe this person or entity will be using Melon. The Melon protocol standardises performance metrics making it easy to compare. To see a selection of which entities are already signed up to beta test Melon check this link out http://imgur.com/a/4XF7W ! Do you think hedging is a big issue for such a volatile asset category? Not really – I believe good managers will be creative with their hedges. For example, why not hedge by using something like an augur market that suits your required outcome for a hedge? A second point is – volatility also means opportunity. For example one obvious strategy in a volatile market is that you often find good arbitrage opportunities. We are hearing more and more of individuals taking advantage of this.. But of course, the way to think about volatile assets is the weight you should use to incorporate them into a portfolio. Crypto’s lack of correlation to any other asset class makes that volatility very manageable from a portfolio perspective. @jessegrushack What’s the biggest assumption for the Ujo music business model and what’s your next step to validate it? The biggest assumption we are making is that we can create a parallel music industry that lives along side the existing industry. If people are willing to opt-out of the legacy mess, we believe we can create streamlined tech-forward solutions to create more value than the existing industry. This is a big assumption. I would guess that most consumers dont care about the mess behind the scenes. So how are you guys planning to validate this? We’re working with a lot of different players that are trying to make blockchain + music work. It is defintiely a big assumption but so are blockchains :). If we live in a blockchain world, the benefits are 10x over where we are today. If we try to create a tool that leverages blockchain for the current industry, we defintiely won’t get 10x benefits, we potentially get negative benefits because of the current UI/UX flows. So while the assumption is large, music at it’s very core is easy. You have a fan and a listener. We’re working to create a registration portal and player so we can start to onboard artists and slowly release additional features. By having a persistent portable identity eventually powered by uPort we can start to see the 10x benefits that blockchains create. Huh, so you guys will be releasing your own player…makes sense. Have y’all had any communication with Bandcamp or is it too much of a competing service? They’ve definitely helped me pay (and appreciate) more artists. @Jarred – Haven’t spoken to anyone at bandcamp but more than happy to! Our goal is to help build rails for the future of music. We hope that a rising tide raises all ships and we can work together to make a bigger industry. @hoffmabc What are the most promising avenues to monetize OpenBazaar? I think one of the most interesting ways will be building a smart curation and advertising platform on top of OpenBazaar. With a decentralized marketplace finding good content and driving traffic to your business is going to be super important. Smart curation – that would be awesome. In the recent book by Kevin Kelly he talks about ‘filtering’ (I think similar to what you call smart curation) as a major trend. I dont have time to look at this avalanche of products but I would love to get recos based on what people in my network and people I trust have favorited. @nedscott What is your biggest positive surprise from the actual usage oа Steemit platform and the biggest disappointment? @wmougayar what do you see as the biggest hurdles to faster adoption of Ethereum? From a developers’ adoption point of view, Ethereum has done a phenomenal job. Via sheer community support, resulting in their own network effects, Ethereum has in essence achieved more than Hyperledger is trying to achieve via a heavy-handed top down market and formal membership effort. I think Ethereum can do more in terms of market communications (not just to developers), in order to 1) continue explaining where they are going, 2) summarizing what they are already achieving, 3) highlighting the many many stories about their adoption (which you don’t hear about unless you are on the ground). The world needs to hear more about Ethereum, coming from them. That said, the Ethereum Enterprise effort (that was leaked a few weeks ago) will be a great step in that direction, as it will help elevate and strengthen Ethereum’s voice within the enterprise segment. Great points! Even something basic like ‘The state of Ethereum’ as a regular monthly communication would be very helpful. An email blast twice a month would be good, similar to the one I get from Hyperledger. They tell me everywhere they have been, where they are speaking, who is trying them, etc. I know that Eth Foundation people and Eth customers are doing a TON of stuff, but if no one knows, then it’s a tragedy. They have the audience attention, just tell them what is going, who is doing what, where they are, etc… (of course, except confidential stuff). @erikvoorhees what are the big plans for ShapeShift in 2017? How does the usage trend look like in the last 18 months? Let’s start with the usage trends… they’ve been up! 18 months ago, we processed $1.2m of customer orders per month. Now, we are over $15m of orders per month. We’ve built relationships with over 100+ API partners ranging from wallets (Ethereum’s Mist wallet, Jaxx.io, Exodus.io) to payment processors like CoinPayments, and our very special most recent integration with OpenBazaar. ShapeShift is built to be a utility for anyone in the ecosystem to use for frictionless digital asset exchange. On a macro level, the rise of Ethereum last year, and now Monero/Dash and a handful of interesting Ethereum-based tokens, has demonstrated that Bitcoin is not going to be the world’s only valuable digital asset. This trend was only theoretical when ShapeShift began, but is now quite apparent. This year, 2017, will be our biggest yet. We will be announcing our successful Series A in a matter of weeks. We’re growing the team from 13 full-time to over 30 by year-end. This larger team will be building and maintaining both ShapeShift’s current exchange platform, but also two new ground-breaking products that we have not yet announced. Most importantly, Bitcoin transaction volumes network-wide keep growing, and this amazing industry continues to build up around it. We’re honored to be a small part of it. Wow, huge growth! Excited to watch you guys grow and develop! Team of 13 is already a force and with 30 people you guys can take on really ambitious projects. @hoffmabc with regards to OB are you able to breakdown the geo locations as to where most users are from? Downloads that come via our web site yes. But not direct downloads from GitHub. Most users are coming from USA and Europe. @josephlubin What are top 3 projects you excited the most right now within Consensys? The ones that you believe are closest to mass adoption. Coming from Austria, we have a really complicated “gvnmt owned” tax and social security system. If I look at chronobank – where people offer their working time for value transfer, be it satoshis or whatever “coin” they will be paid, I reckon for European legal institutions, governments, tax departments they would want to have their share in the value transfer. I would see this as a major problem – who, would you say, could adopt easier – blockchain technology or tax systems jumping on the rolling train? Governments and regulators are usually are usually follower and laggard to what happens, which is OK; as they need see things happening in real before they take action. If you design a business model where they have a seat at the table, and their role is defined, I wouldn’t be surprised that they would play accordingly. All they are interested in is that – 1) no illegal activity takes place, 2) people pay their taxes. They aren’t interested in taking profits from a business model, but they want to make sure that taxes are paid. ok – sounds like they will jump on the train. I’d suggest integrate into the smart contracts various “tax” classes that could easily be adopted and show to the Govs and Regs to be ready for their integration. Tax splitting and crossborder deals will be an issue too. Sure, there will be different ways to skin that cat, but taking a cut from transactions is not the only way that governments get their share. Currency hedging and trading is taxfree in Austria / Europe – therefore financial institutions love to abuse “hedging” instrumentations. If coins’ values are treated as commodity, users have to have them in the annual tax “proclamation”. So main governmental target will be “pseudonomity”? Upon physical delivery of products tracing should not be too hard, I guess. Wide field ahead. Not to mention National Banks and monetary policy needs. @wmougayar thx for your publications. good read. How is trust and block chain related? I have been hearing this everywhere but not able to understand. the system is beeing called trustless – actually it is not – I, personally, dislike the term trustless – it is wrong. The trust people have to have is in the 1) system and the 2) math behind it. In the 3) quality of organisation and programming. In the 4) quantity of servers, clients, nods within the system. These points should bring people to trust in the reliability of the value system. Fintech+blockchain= an institution which can make banks redundant….probably because banks charge a fee on every transaction. With blockchain we could reduce or even eliminate the fee in peer to peer transactions. I guess fees will not be eliminated – they will rather slide into the smart contracts – but the fees will be reduced as costs are beeing reduced. Hi Bhavuk, the way I would describe the relationship between blockchain and trust is that traditionally, in order to do something like transact an asset, we would need to place our trust in third parties (like a lawyer, a central bank, etc.) in order to execute our transaction. Those third parties are made up of people, who are vulnerable to everything from human error to inconsistency to corruption. With a blockchain-based system, we transfer our trust from groups of people to a completely logical system of code. The idea is that the code keeps an immutable record that is not subject to human error or tampering, and that can function as a shared source of truth that businesses, governments, agencies, individuals, etc. can hold in common and refer to, since no one can manipulate it to serve his interests. What are the Holy Grails of crypto token development? For instance, Ether is programmable. Z-cash is purportedly anonymous and fungible. I would say that programmability and fungibility are two of the Holy Grails, but I believe there are more. Related to Ameer’s question above I would probably put stability on there as well. We are also working on the next version of ERC20. Having a common token standard will make issuing, transferring, and reading of assets on-chain much easier. The new standard will include legal and accounting metadata. @hoffmabc @wmougayar in regards to OB who have seen to be the biggest users so far? Biggest users so far are people selling some unique products (a lot in the food space) and things that are hard to obtain online like seeds for various plants. We also see people selling physical coins along with gold and silver doing ok business. EDIT: Also we don’t really have deep insight into how people are using the platform since it’s completely end to end encrypted and private. This is anecdotal evidence and from observing the types of merchants doing work on the network. Yes. We’re looking at several options including opt-in de-identified stats. What will it take to create a stable crypto coin, with no crazy ups and downs? A much deeper and massive market where whales and big fish can’t push the price around so easily. I think it’s a complex issue, but having people using Bitcoin more would I think create more value and also bring in more investors as well. It would create a much healthier distribution of the coins I think. This is the correct answer. You can’t “design” market stability (unless you build something like Tether which is a proxy for dollars which are already stable). You can design an asset that gets widespread use and liquidity, and it will *earn* stability over time (as Bitcoin has slowly been doing), but you can’t magically imbue something with stability. Probably the first we will see is financial institutions like banks issuing USD-tokens on a blockchain. Santander has already expressed interest in doing this. The tokens could be used on the blockchain and redeemed back for USD at the bank. What’s stopping that token from being at the mercy of the speculatory market? It would be pegged to the dollar by virtue of one token being redeemable for one dollar at the issuing bank. So its value wouldn’t fluctuate more than the value of the dollar. Not sure I understand your question. This would not really be a trustless crypto-token but instead a digitized dollar-IOU from the bank. Projects like BitShares etc are attempting to create trustless stable coins but these have risks related to the liquidity of the market. So far we have seen Tether, BitUSD, Maker Dai, Steem Dollar, and NuBits (and perhaps a few others). Stable coins clearly already exist (albeit all with varying degrees of risk or reward, and different distribution and stability mechanisms). I believe a more important question is how can a stable token be adopted by the masses leading to widespread use. I also like Brian’s answer – which is that a crypto commodity can become stable overtime if it is adopted widely. What do you see as major use cases for a stable coin? Why do you think existing stable coins have not seen more adoption? 2. Can blockchains like uPort provide digital identities to VR experiences? 3. Will blockchains be embedded in our clothing & complement the development of Augmented Reality? 4. How can we simplify blockchain mining? 5. Will we ever see an IPFS blockchain? What is the best way for a new blockchain startup to get funding? Where do they go? At a seed level (raising $100-$500k) the best avenue is to find some other blockchain investors/entrepreneurs who have some capital and who are excited about the project. If you can create a working prototype of the product (thus not just an “idea”) then that helps tremendously. How many unique public blockchains actually exist? Well I mean ones that have not been copied or forked. Original Blockchains? That is still tricky to answer. I would consider Zcash to be a pretty unique blockchain but at it’s very core it is a fork of Bitcoin. Anything that simplifies adoption will be a welcomed addition in 2017 and beyond. More complicated, “better” technologies, lengthier white papers, pies in the skies, etc. all that will be marginally useful for widespread adoption. I think we have enough available technology to go around, that we ought to focus on applying it. Let the scientists, researchers and deep/core engineers continue to push their work accordingly; but let’s not confuse Research vs. Solutions that work today. The gap is wide between research and applying something. In-between, you need to code-up the research, prove the concepts, test, pilot, re-test, iterate, fix bugs, re-deploy, etc. lots there. Yes! Time for practical, widely applicable solutions. 1. What, if any, other public or private blockchains other than those you primarily contribute to, do you think are interesting or could potentially become successful and why? 2. Do you have any personal heroes or people whose contributions to the blockchain space you particularly admire and why? 3. What significant milestones or events in the blockchain space do you hope will happen in 2017? 2018? 1) We develop on both public and private Ethereum chains. I trust in their team and their vision, at the same time I always keep an eye out for new entrants. In particular, we all know Google, Amazon, Microsoft have looked into this technology. They are powerful enough to launch ‘something’ with decent market traction out of the box and nearly overnight. I think it’s a matter of ‘when’, not ‘if’. 2) I consider Alex van de Sande to be the leading expert in terms of vision for a decentralized web. He’s one of the only person on earth building a decentralized browser and therefore has the capability to differentiate between what’s ‘wishful thinking UX/UI’ and what’s actually practical. A special mention to Amir Taaki for keeping his moral compass in the right direction regardless of the pressure exerted by the so-called ‘pundits’, the media and the community. I find his intransigence and resolve inspiring. 3) In terms of things to look forward to in the space, well, Casper Proof of Stake on Ethereum of course! And I know it could take a couple of years but sharding is super, super exciting. Will ever blockchain have means to protect the users from fraud or illegal activity, when there is a dispute (for example in the form of a Judge in the real world) ? if not, will really blockchains and smart-contracts see spread real-world use in the general public ? What would help is to have the law enforcement agencies, legal entities etc. themselves also be on the blockchain, i.e. part of the same system of checks and balances. A parallel system to the current one would need to be emulated on the blockchain, not exactly as the current, but with some variations. For e.g. 3rd party adjudication could start on the blockchain via multi-sig types of pre-agreed processes. Then a judge could theoretically be presented with the historical trail of evidence (from the blockchain), if it gets elevated to that level. Great question! I think until we have human-level AIs capable of moral judgements, some kind of multsig setup with trusted human arbiters built into the equation makes sense. The infamous DAO had an interesting concept of 7 trusted humans having veto power in some way. The whole point of on-chain transactions and smart contracts is to act as independent arbitrators under no control but the consensus at scale. Wether that’s applicable to the particular use case you have in mind, well, your mileage may vary (wildly). For example, state channels are two-way negotiations taking place off chain between two participants. They both sign transactions in succession until it’s time to reconcile. In the case of dispute, the transactions are sent to a smart contract ‘judge’ that verifies the transactions are indeed valid and renders a ‘verdict’. This implies either collateralization on both sides of the deal or one side willing to take the chance on a % of transactions that could prove to be fraudulent. It work in quite a few use cases (we do it for microtransactions in the context of EV charging), in others, it doesn’t because smart contract enforcement in the physical world is far-fetched for the time being. If you’re interested in the subject, check out both David D. Friedman “Anarchy and Efficient Law Part 1” and Gavin Wood “Allegality” talks on youtube. Can and/or will Blockchain technology and smart contracts bring new means of production organization (labor and capital) in which enterprises/workers supersede some degree of competition with collaboration ? Isn’t competition a good thing for us, consumers? Agree, it shouldn’t destroy competition but rather bring supply and demand together more efficiently to eliminate (or reduce) traditional firms that sit in between the two and collect rent. I think blockchains will influence how companies organize themselves internally, for example, how they could more readily onboard channel partners, or if they are structured as co-ops. This however, won’t necessarily impact how they behave in terms of competitive strategy. The nowadays email-communication is way back outdated. What would you approach to do, to increase the creditiblity of communication over the Blockchain? Could this sort of communication maybe replace the nowadays email data traffic and increase required security from junks? To be honest I don’t see blockchain really serving as a great communication channel. Transferring value it is good at, but serving other people chat messages seems silly to me. We have technology like signal protocol and an amazing amount of cloud servers already to serve this purpose. Funny you’d ask that, as we find Bitcoin roots in Hashcash, a proof-of-work system used to limit email spam (https://en.wikipedia.org/wiki/Hashcash). The fact that it never picked up is quite telling though: either the technology is still too complex to built in the clients, or there’s no real demand for it (ie, Bayesian filters are considered ‘good enough’). Considering we’re still waiting for most mail clients to implement something as basic as GPG, I wouldn’t hold my breath. What I find is that wherever trust is a problem, blockchain offers a solution. In the case of communication, what I think is interesting is sometimes we get emails and messages from people claiming to have certain identities. We believe them based on their name alone, usually, and send them all kinds of information. It would be great (and possible using the public-private cryptographic keys that individual identities have on blockchains) to have a blockchain-based identity verification on messages, in order to root out scams, phishing, and hacks. Many recent publicized (and not so publicized) hacks come from someone posing as someone else and getting access to information and passwords. What about the keys will be stolen ? How can blockchain technology be used uniquely to enable positive social impact, specifically financial and social inclusion? The recent crackdown on cash transactions in China, India and Zimbabwe immediately comes to mind. I wouldn’t be surprised if we see mass adoption of crypto in emerging economies before we see it in the western world. The best part is that users do not have to ‘sign up’ for a service or a wallet: the crypto (money in the case of bitcoin, contracts in the case of ethereum) IS the service. Thats said, I think we’ll need to see a lot better/simpler open source mobile implementation of the various clients on mobile before we see a more generalised adoption. Crypto and blockchain identity solutions like uPort could form the foundation of financial and social inclusion for unbanked demographics in the developing world (like women in Afghanistan for example). Universal Basic Income is also very interesting (and more future facing) social impact use case. Blockchain could provide a decentralized, universal, secure and resilient solution with possibilities for unique community based incentives for system growth. Carolyn made a great point about how blockchain-based identity from platforms like uPort could mean a big change in financial inclusion, namely bringing the 2.5 billion people who are currently “unbanked” into the global economy. Blockchains also allow for greater transparency. This has implications for, say, humanitarian aid, since donors could track where each bit of ether goes, to make sure the funds they donate are actually being spent in the manner they’d like. Hopefully this will increase public confidence in humanitarian aid organizations, and allow them to directly see the impact they’re making on society. Benefactory and WeiFund are great examples of Ethereum-based platforms that enable users to stage crowdfunding and social good campaigns, and track how money is spent. Nontransparency in general can be wielded by repressive regimes and administrations as a tool to lock people out of the decision-making process of democratic government and to obfuscate corruption from citizens. Blockchain-based governance tools such as Boardroom allow insight into how an organization runs. Citizens can use this transparent information about what governing bodies are doing to stage protests, elect different officials, appeal for help, etc. How is Boardroom coming along? Get yourself ready for a 4h AMAThon. Time to spread the news everywhere. Great Line up! Can’t wait! Between this amazing list of participants, which project (that they lead) is the least scammy in your humble opinion? And why? Well I’ll just nicely assume this isn’t a straight troll question and say that I can only speak for myself and my project and volunteer that OpenBazaar is not a scam clearly. It is a functioning product that you can use today and is not tied to any get rich token scheme or other scammy sort of situation. I tried it, but there were no weed sellers (and my azure node was a hassle). Hope the 2.0 version would be better! I would try it, hope it does TOR integration natively someday. @stephantual what are the practical IOT applications if Blockchain? Blockchain technology allows us to bring to life truly autonomous objects: not just automated objects like self driving cars, but truly autonomous ones that can pay for products and services they need in order to be of use. A car that drive itself is nice, but a car that can pay for it parking, maintenance, refuelling, toll road access is much, much better. Ethereum and Smart Contracts allow us to onboard a wallet into vehicles. It’s a better experience for the end user (no need for carrying 30 different access and loyalty cards) and it’s a real game changer for the manufacturers, giving them a fighting chance in the services arena. Where are you guys in terms of bringing this to the real world? Now it’s about rolling it out to the real world outside of the CES 🙂 As you can imagine, the challenge goes far beyond the technical and extends into negotiating with local authorities, regulators and of course OEMs.